Commander-in-Chief of Defence Services Senior General Min Aung Hlaing welcomed Lt. Gen. Chansamone Chanyalath, Minister for National Defence of the Lao People’s Armed Forces with a Guard of Honour, in front of Zeyathiri Villa in Nay Pyi Taw this morning. 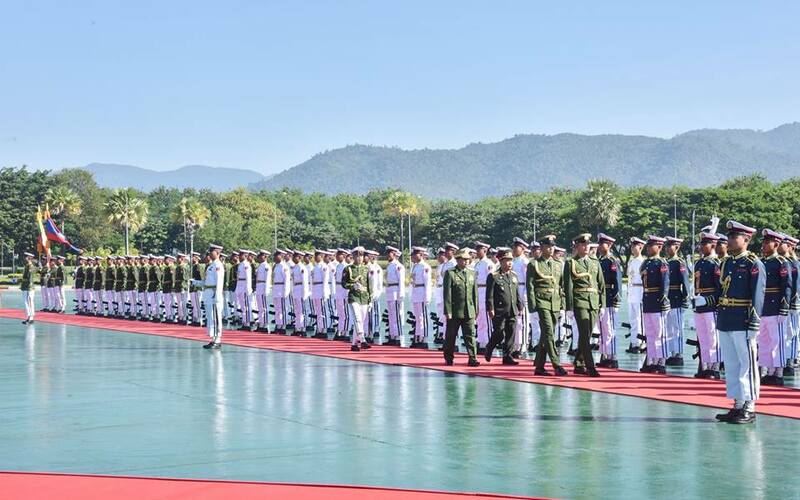 First, Senior General Min Aung Hlaing and the Laotian National Defence Minister took the salute of the Guard of Honour and inspected it, followed by the bilateral introduction of senior military officers of both sides. 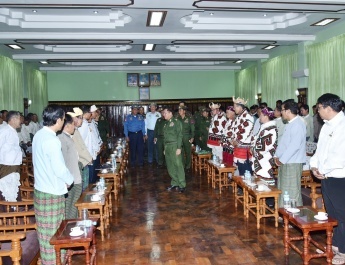 Also present at the ceremony together with the Senior General were Chief of the General Staff (Army, Navy and Air) General Mya Tun Oo, Commander-in-Chief (Air) General Khin Aung Myint and senior military officers from the Office of the Commander-in-Chief (Army). The Laotian National Defence Minister was accompanied by Laotian Ambassador to Myanmar H.E. Mr. Lyying SAYAXANG, senior military officers from the Lao People’s Armed Forces and the Laotian Military Attaché to Myanmar. Afterwards, the Laotian National Defence Minister signed the visitors’ book of the Zeyathiri Villa and held a talk with the Senior General at the parlour. At the call, the Senior General said that Myanmar and Laos were good neighbours. Both countries had same culture and history. 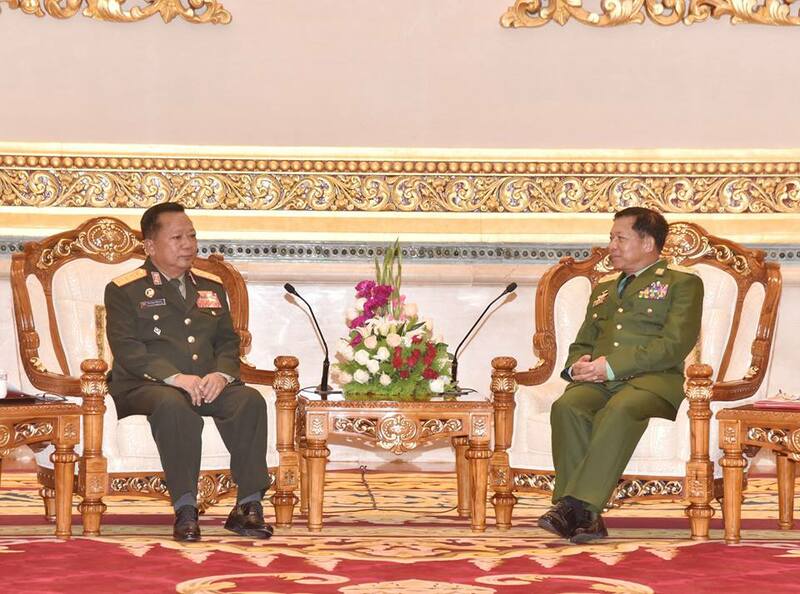 The Senior General expressed special thanks for Laos’s supportive position toward Myanmar in the international arena, understanding the real situations of the terror attacks carried out by ARSA extremist Bengali terrorists in Rakhine State. 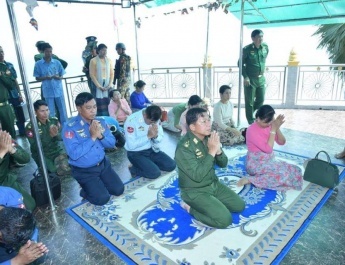 The Laotian National Defence Minister expressed regret for terror attacks in Rakhine State. He said Laos understood and supported the Tatmadaw’s handling of the issue. Such goodwill visit would further promote amity and cooperation between the armed forces of the two countries. He also discussed defence duties performed by the Lao People’s Armed Forces and cooperation in border security. After that, the Senior General said he saw the development of Laos during his goodwill visit to Laos. He took pride in endeavours made by the Lao People’s Armed Forces for the country. 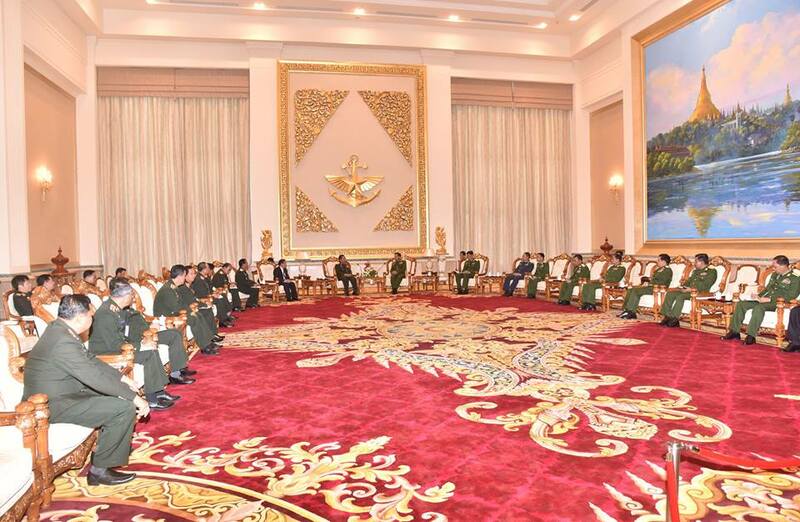 The Myanmar Tatmadaw was mainly performing the country’s defence duties by upholding our three main national causes to safeguard independence, sovereignty and national unity. 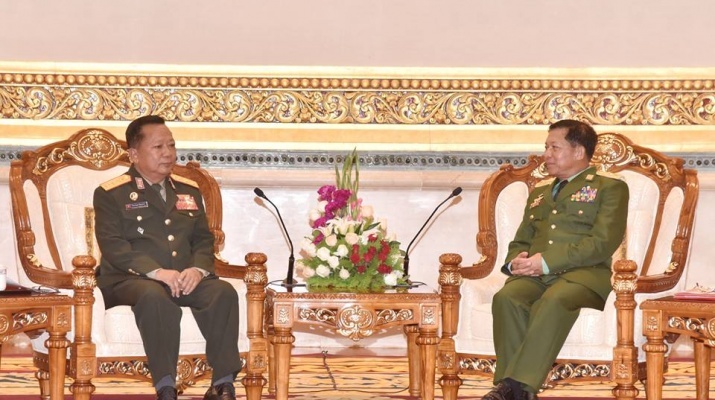 Senior General Min Aung Hlaing said efforts are being made to develop the Tatmadaw into a Standard Army which has prowess and strength to realize the goal. The Tatmadaw had to crush internal insurgency soon after the country gained independence. It is now on the path towards peace to restore national peace and stability. Because of the Tatmadaw’s cordial cooperation with the neighbouring armed forces, there are no problems in the borders. The common border between Myanmar and Laos is enjoying peace and stability. Terrorist attacks broke out in Rakhine State while the country is advancing on the multi-party democracy road. The Senior General explained efforts to inform the international community about the real situation in Rakhine State as it is unaware of the truth. Then, views were cordially exchanged on the friendly visits between the two armed forces, rank-wise contacts, further strengthening of bilateral military relations through the exchange of cultural troupes, sports teams and trainees between the two armed forces, cooperation between the two armed forces to terminate drug and human trafficking at the common border and to ensure peace and stability, bilateral cooperation in disaster relief measures, and Tatmadaw’s efforts to restore regional peace destroyed by the terrorist attacks of ARSA extremist Bengali terrorists in Rakhine State. After the call, the Senior General and the Laotian Minister exchanged souvenirs and posed for group documentary photo together with those present. The ceremony to sign the MoU on cooperation between the two armed forces was then held. 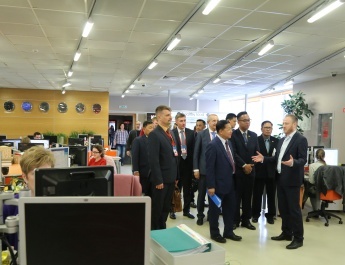 Senior General Min Aung Hlaing and senior military officers and Lt. Gen. Chansamone Chanyalath and senior military officers of the Lao People’s Armed Forces attended it. Director of Directorate of People’s Militia and Frontier Forces Maj-Gen Htin Maw Tun and Deputy Head of the Staff Affairs Department of the Lao People’s Armed Forces Brig. Gen. SINGSAVATH PHOMMASAK signed and exchanged the MoU.